The foundation of the nation is a stable family. If you destroy the family, you destroy the nation. 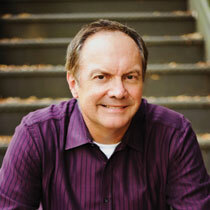 James Merritt gives vital information regarding the importance of a stable family structure. A great Christian who lived over a century ago, named G. K. Chesterton, put it all in perspective when he asked this question, "Can anyone tell me two things more vital to the race than these: what man shall marry what woman and what shall be the first things taught to their first child?" May I tell you why that question is so vitally important in the 21st century? I believe in a spiritual being called, Satan. I believe he has a master plan to destroy this country. His number one target is the home. The foundation of the nation is a stable family. If you destroy the family, you destroy the nation. Can you imagine what could happen in this country if every family made that same decision? Do you think the crime rate would go down? Do you think our jails would be emptier? Do you think our churches might be more filled? Do you think that marriages might be restored? Do you think that homes might be rebuilt? No family can ever make a greater decision than Joshua and his family made. No father or mother could ever set a greater example of how to lead a family than to make this decision: "As for me and my house, we will serve the Lord."